We are in search of an established Hotel General Manager who will bring high energy, passion, and a hands-on approach as the leader of this property! Commitment to making every guest happy! I get enjoyment out of helping others find their next great career opportunity, which could potentially be life-changing for them and their families. Chuck Jaloski started working at Goodwin Recruiting in January 2018. Chuck was born and raised in Palm Beach Gardens, FL and still lives only about 15 minutes from the hospital where he was born. He started working in restaurants at the age of 15 and owned his own small restaurant by the age of 21. 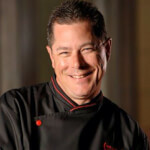 He attended Florida Culinary Institute after high school. Chuck enjoys attending all his children's sports games, playing golf whenever he gets time, and doing as much fishing as possible. He is an avid football and baseball fan and loves to volunteer for youth sports.